Do you know how you can make everything larger? Well, I want to talk about making everything smaller. Every wanted that big statue to fit inside a case or how about paint jars looking like actual paints. One thing I will mention it will take a bit of floating to make your smaller pieces go on table and stands. 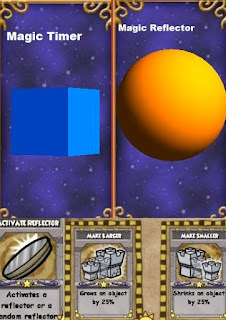 Castle magic can do so much, first you will need an Magic timer, the blue square and a magic reflector, the orange ball. Now you need an utility spell called Activate Reflector and so action cards like to make things grow smaller larger or cast spells. 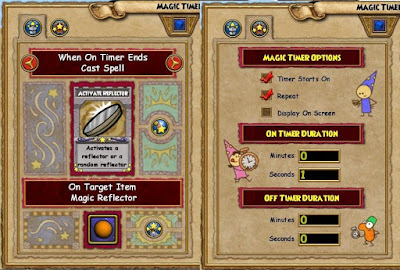 Now open your timer add your activate reflector then click on target item and target your magic reflector. Now to set for any item to stay constantly small or large even move this is the setting you would need. Now you can change them up a bit for spells and this, I would put them on a different timer. Now let's set up the reflector. Your reflector and do up to eight things or should say eight different spells to eight items. I have several things growing or becoming smaller to fit on things. You add your action card such as make smaller, then you click on the target item let's say that Proud Pegasus Statue. Close everything and the statue goes smaller. Repeat for up to eight more items. Now we need to do out floating technique. Take a larger rug place it down. Use a tatami mat and spin it using your scroll over the rug until it starts moving . Move it to where you want to place your statue. Now just click cancel Tatami mat will go back in your pack. Leave and come back to your house and the large rug will be right where you started. Here are some before and after images to show how everything will look until the fit into place. Oh I used the make invisible action spell on the fish tank so it disappears leaving the fish to swim without his tank. Until next time Happy House Decorating. 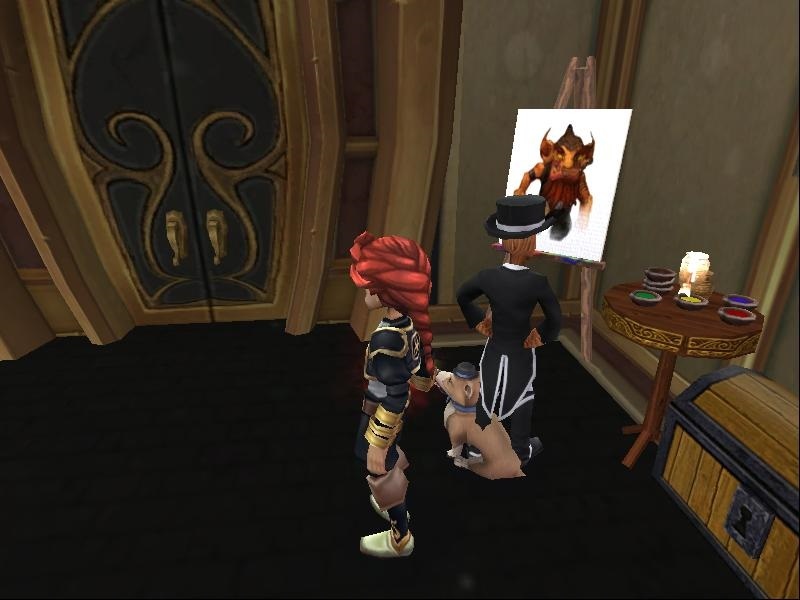 Special thanks to Destiny for the idea of the paint set.